Arrival at Sharm El Sheikh airport, you will be welcomed by our Kasha staff who will meet and assist you. Check in the hotel and over night. Wake up call and buffet breakfast. Enjoy a nice day in the sea, swimming with snorkeling in Ras Mohamed which is located in the southern part of Sinai. Back to hotel and overnight. Wake up call and buffet breakfast. Spend the day at leisure. Overnight at the hotel. Wake up call and buffet breakfast. Transfer by air-conditioned bus to visit Saint Catherine Monastery. Back to hotel and overnight. Wake up call and buffet breakfast. Spend the day at leisure Overnight at the hotel. Wake up call and buffet breakfast. Enjoy the day by jeep safaris till sunset. Back to hotel and overnight. Wake up call and buffet breakfast. 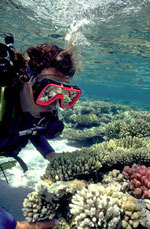 Spend the day diving or at leisure. Overnight in the hotel. Wake up call and buffet breakfast. 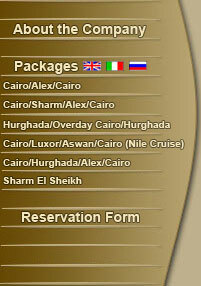 Check out from the hotel then transfer to Sharm El Sheikh airport for final departure.